I do. I come from a long line of debaters, negotiators, and general question-askers -- and now, it turns out, sparking these discussions has become part of my job. around everything between what’s for lunch and the latest marketing news -- the latter of which often includes a healthy amount of debate around which tools and channels we prefer to use, both as marketers and consumers of technology. … and, a la Bernazzani’s approach to her debate, decided to open it up to our inbound.org community members. Which is your preferred platform for live video? Do you use different platforms for different purposes? Why do you prefer this/these platform(s)? Do you particularly dislike the non-preferred platforms, and if so, why? And now, we're sharing some of marketers' biggest reasons why they prefer each platform -- read on for some of the highlights of the debate below. According to Facebook Head of Video Fidji Simo, about 20% of all videos on the channel are live, with the time spent watching them having grown 4X over the past year. Notice that, in his quote above, HubSpot Academy Senior Growth Marketing Manager Eric Peters also spoke to Facebook Live’s reach. To date, Facebook has 1.28 billion daily active users. On top of that, it continues to rank as Pew Research Center’s most popular social media channel. In other words -- when content is shared on Facebook, it’s done so with a bit of a built-in audience. With so many people already using Facebook, users often come across content from creators that they don’t already follow because it’s recommended by the platform’s algorithm, or one of their friends engaged with it or shared it, which shows up as activity on their feeds. 3) It’s easy to use. Carney also spoke to the fact that, when it comes to broadcasting live video with convenience, Facebook emerges as a leader once again. As he points out, Facebook Live not only seamlessly integrates with a number of other platforms, but it’s also responsive across more than one viewing or recording medium -- like desktop or mobile. And when you’re a marketer trying to capture an event unfolding, or provide a spontaneous look at what your brand is doing, that sort of translatable use is important. 4) The actual content outlives the live broadcast. Gritmon also mentioned the somewhat evergreen nature of Facebook Live video content. Unlike other ephemeral content platforms, she explains, viewers can continue to consume her live video content long after the broadcast has ended. Notice how she addressed the idea of repurposing Facebook Live content elsewhere. While non-live Instagram posts, for example, can be shared and embedded elsewhere -- Stories and live video cannot. Using Facebook, Gritmon explains, allows this specific video content to continue existing elsewhere, long-term, so that it can still reach those who didn’t catch the live broadcast. 1) It’s good for short-form content. Here’s where discoverability comes into play. Instagram, similar to Facebook, is a platform where users are scrolling through a feed of multiple pieces of consumable content. They’re not looking for anything in particular, and haven’t arrived at this destination as a result of searching for something. Rather, they’re here just to see what’s new and what might be interesting. 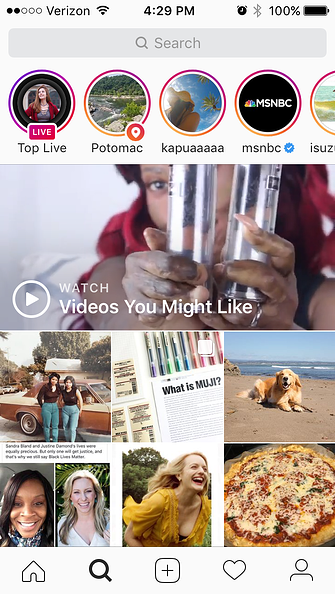 That’s especially true of Instagram’s “Videos You Might Like" feature, which includes hand-picked Stories, live, and pre-recorded videos that it’s determined a given user might like, based on her viewing behavior on the platform -- and which, personally, has led to following more than one previously undiscovered profile. That said, people aren’t necessarily looking to consume a long piece of content while they’re scrolling, even if it does come in a live video format. About two-thirds of viewers prefer video that’s under one minute, and in a crowded feed of content, it’s likely to be even less. So as Longhurst says -- when it comes to this platform, keep it short. 2) Sometimes, the content seems a bit more natural. Pre-produced and formal live videos are great -- in a certain context. If you’re hosting a webinar, for example, or a longer sit-down interview that you’ve teased or promoted in advance, viewers have a better idea of what they’re in for -- in fact, they’ve probably already registered for or planned to watch it before the broadcast begins. But there’s a time and a place for that, says Greater Kalamazoo Association of Realtors Director of Marketing Angela M. McMillan -- and Instagram Live isn’t it. When it comes to Instagram Live, focus on short, helpful videos with aesthetic appeal -- and content that doesn’t need to stick around after its initial live broadcast has passed. These criteria make Instagram an ideal platform for live videos that are update-like in nature -- a way to say “hello” to viewers and show them what your brand and its people are up to. For example, maybe there’s a trendy industry event where you might have a presence -- Instagram Live provides a great avenue for letting your audience know that you’re there and that you’ll be bringing them a glimpse of all the cool action that’s taking place. Later on, if you want to do a compiled review of the event that’s a bit less spontaneous in nature, find a different platform for it. 1) It’s valuable to those who already have an audience there. When Gritmon was weighing in on live video platforms, she noted that “YouTube Live is wonderful for those who have an audience there,” but that it’s simply “not where my audience is.” For that reason, if you’re just starting out on YouTube, it might not be the best venue for your live videos. However, if you already have an established YouTube presence and typically use it for pre-recorded content, it can be a valuable platform for a “special edition” of something, or an event that your audience should “tune in for” -- which you can promote and tease with a non-live video prior to the broadcast. 2) It’s better for long-form content. That wasn’t always the case -- according to TechCrunch, the listing previously read, “YouTube – Watch, Upload and Share Videos” -- with no mention of live content. But from a consumption standpoint, we haven’t noticed anything remarkably different about the live viewing experience on here than on the other channels we’ve discussed. While it does allow users to minimize the video into a corner for continuous play while browsing elsewhere within the app, Facebook offers the same feature. It seems, then, that the platform may be making an attempt to catch up with other platforms in the realm of live mobile viewership. And from a marketing standpoint, recording and streaming live video via mobile is currently only available to verified accounts with at least 100 subscribers -- making it less than ideal for short-form, spontaneous content. Truth time: We didn’t hear from a ton of marketers who are too crazy about using SnapChat for live video. 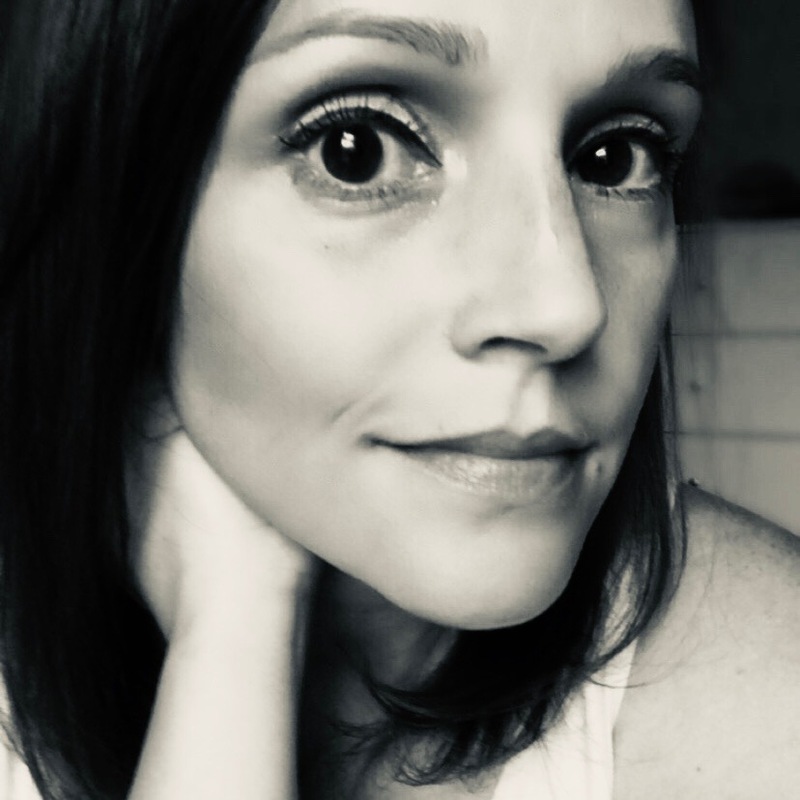 For her part, Gritmon says she uses Snapchat for the sake of “staying in the game” as a social media strategist, and that she doesn’t believe it’s used by the demographic that she or her clients are trying to reach. She also noted that it appears to largely be used for sharing private content with a select group of friends -- not for reaching new audiences with live content. Facebook = Good for engagement and reach, especially with longer-form live videos. Instagram = Good for discoverability, with spontaneous, shorter-form live videos. YouTube = Good for marketers with a pre-established audience on this platform already, who can upload pre-recorded videos on their channels to tease live broadcasts. Snapchat = Good for sharing among friends -- not new audiences. Many thanks to the HubSpot and inbound.org community marketers who participated in this discussion. Where do you stand on the debate over the best live video platform? Let us know in the comments. Johnnie Walker and Captain Morgan Use Inbound Marketing. Do You?